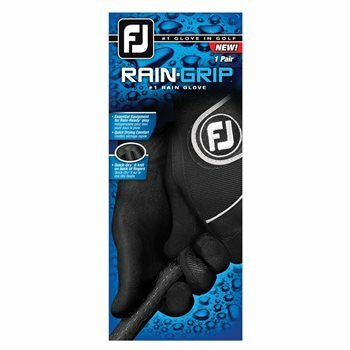 The FootJoy RainGrip gloves are perfect for those sudden showers on the course. They feature QuikDry™ II knit material along the back of the fingers for optimum breathability, flexibility and quick-drying comfort as well as an autosuede™ knit palm for unmatched grip in wet or humid conditions. The angled ComforTab closure is strategically positioned for a precise fit and stress-free comfort. Nothing like still being able to grip your clubs even in the rain.